For the last couple of years I’ve become increasingly interested in the Natural Form period of fashion. 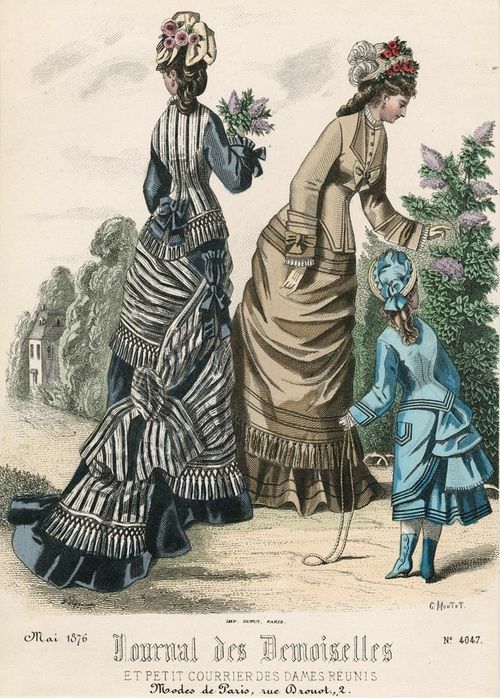 If you’re unfamiliar with this transitional style of Victorian fashion you can check out my hodge-podge pinterest board on it to get an idea. I’ve been getting more interested in various transitional fashions, really, such 1790s and 1820s. With Natural Form I feel really drawn to the sumptuous use and cleverness of the fabric trims, the svelte contours of the figure, the sweeping trains. The more I’ve looked into it, the more I’ve noticed that Natural Form can actually be divided into two phases of approx. 1876-1879 and 1880-1882/3.